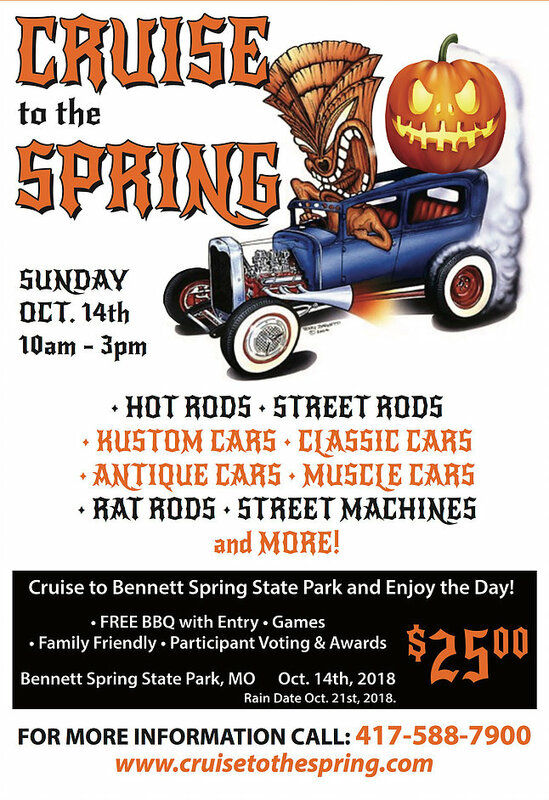 Cruise to Scenic Bennett Springs and enjoy the Day! Free BBQ meal for 2 with the first 75 Registered Entries (not Hot Dogs). Games, Family Friendly, Participant Voting and Awards.